It’s not Prabhupadas fault, that so many mlecchas, yavanas, varna sankaras came to the ISKCON. It is testimony of His greatness, that even they accepted His message. It’s not Prabhupadas fault, that they have brought all the dirty things, all the adharma with them, even trying to establish it as a bona fide. 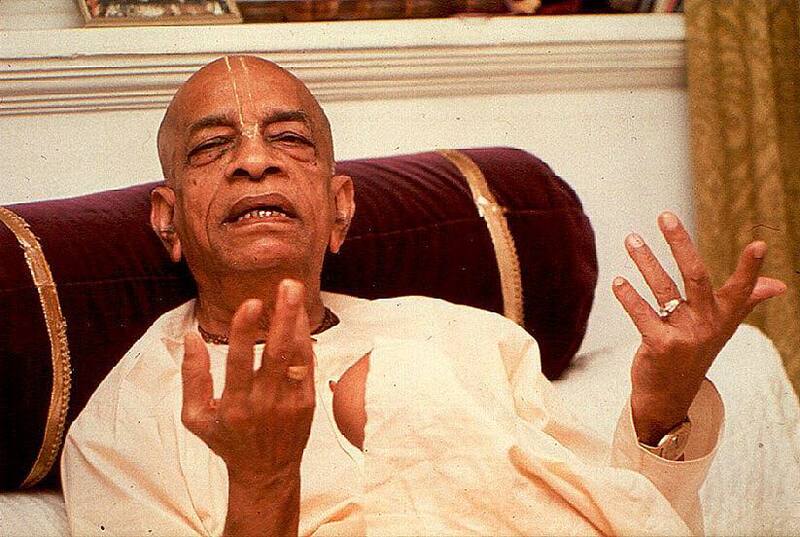 It is the same greatness of Srila Prabhupada, that despite all this, ISKCON is still going. Therefore do not be surprised, that there are fights inside and around ISKCON – between those who are aryans (who have accepted message as it is) and between those who want to stay non āryas (who want to adapt message to their way of life). So. Duty. If you have men’s body – you have your duty. If you have woman’s body – you have your. Even if you are self realized soul. Such is the will of Supreme. After all – we can hear so many complains about ISKCON. So many left, and so many complain, afterwards. But why? Then why to accept all those resolutions and introductions which are clearly against stri and varnasrama dharma? Why to accept all those who openly ignore in their behaviour and lifestyle respective duties of sannyas, grihastha, men, woman? Why? Therefore I must refuse and I will refuse all this adharma in the name of Bhakti. But at the same time I will always associate myself with ISKCON. And I will support with my life anyone, all those, who are Prabhupadas men in their deeds, who are aryans – like HH Bhakti Vikasa Swami and so many others. Because such is Srila’s Prabhupadas greatness – His Will.